Little accomplishments deserve a celebration just as much as life's big occasions. That's our philosophy here at Cook's California Champagne. It's why Cook's has become the sparkly of celebrations – and one of America's most popular champagnes. We've had a lot of time to perfect our pop. 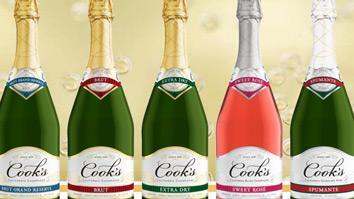 Since 1859, Cook's began when Isaac Cook created the first American champagne. We've been continuing his tradition of creating quality champagnes ever since. Today, Cook's California Champagne is produced at the Mission Bell Winery in Madera, California, by a team of bubbly-loving pros led by winemaker Miguel Sanchez.